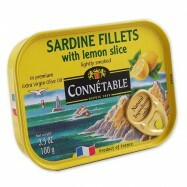 The sardines from Brittany became famous among gourmets for their plump flesh. 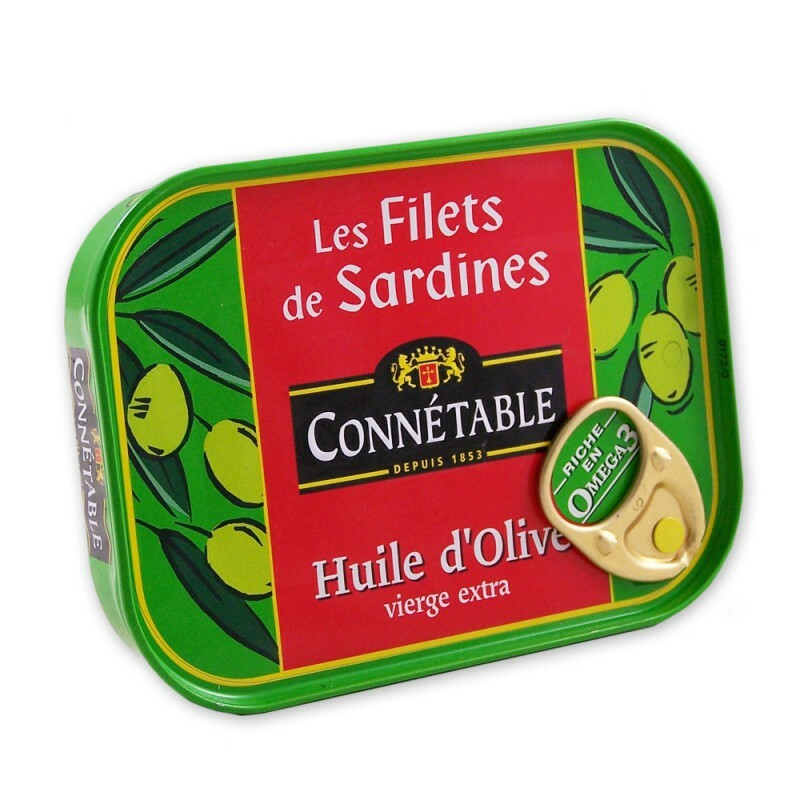 Since 1853, the Connetable family has been canning sardines in the Brittany port of Douarnenez, and keeps maintaining the tradition of quality and natural ingredients. It is one of the oldest operating fish cannery in the world. 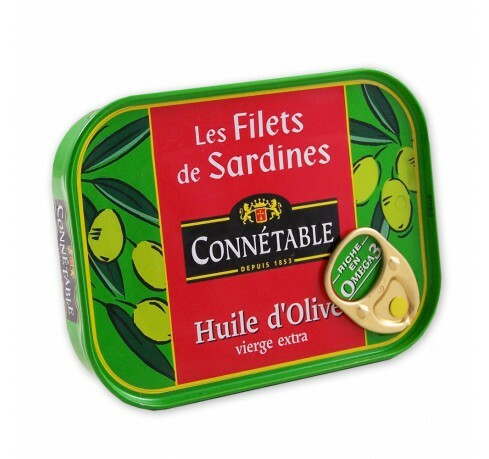 Rich in Omega 3, these lightly smoked sardines fillets are firm yet tender, not too salty, and buttery in flavor. They are packed in Extra Virgin Olive oil. Comes in a set of 3 cans of 4oz each with easy opening.